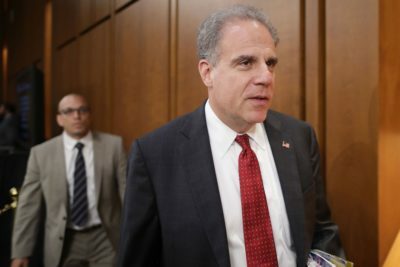 The Justice Department’s inspector general announced on Tuesday that his office would investigate a Drug Enforcement Administration program linked to violent drug cartel attacks in Mexico that have left dozens, possibly hundreds, of people dead or missing. Under the program, the DEA vets and trains teams of Mexican federal police officers, known as SIUs, that conduct DEA-led operations in Mexico. Last year, ProPublica and National Geographic reported that at least two such operations were compromised and triggered deadly spasms of violence, including one that occurred less than an hour’s drive away from the Mexican border with Texas. 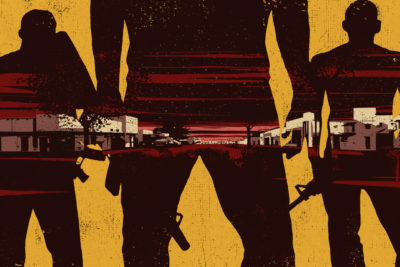 A June 2017 story revealed that an attack on the small ranching town of Allende in the Mexican state of Coahuila in 2011 was unleashed after sensitive information obtained during a DEA operation wound up in the hands of cartel leaders, who ordered a wave of retaliation against suspected traitors. A second story in December investigated a 2010 cartel attack on a Holiday Inn in Monterrey, Mexico, and found that it, too, was linked to a DEA surveillance operation. Four hotel guests and a hotel clerk, none of whom were involved with the drug trade, were kidnapped and never seen again. Both operations involved the DEA’s Mexican SIU. ProPublica’s reporting detailed that the Mexican SIU had a yearslong, documented record of leaking information to violent and powerful drug traffickers. Since 2000, at least two supervisors have been assassinated after their identities and locations were leaked to drug traffickers by SIU members, according to allegations by current and former DEA agents who worked in Mexico. Last year, another SIU supervisor, Iván Reyes Arzate, flew to Chicago and surrendered to U.S. authorities, who charged him with collaborating with drug traffickers. Arzate pleaded no contest to the charges in May and faces 25 years in prison. He is scheduled for sentencing this year. The DEA, ProPublica found, had long been aware of this corruption and failed to address it, even when innocent lives were lost. In an email, a DEA spokeswoman, Katherine M. Pfaff, said the agency declined to comment on the inspector general’s investigation. The DEA considers the SIU program an “effective international program,” she wrote. The agency has similar units in at least 12 other countries. That letter was signed by Sen. Patrick Leahy of Vermont, vice chairman of the Senate Appropriations Committee, who has long pursued accountability for the DEA’s operations abroad, as well as Sen. Dianne Feinstein of California, the ranking member of the Senate Judiciary Committee and one of the country’s leading authorities on national security matters, Rep. Eliot L. Engel, the ranking member of the House Foreign Affairs Committee, and Rep. Jerrold Nadler, the leading Democrat on the House Judiciary Committee. The two representatives are from New York, and their committees oversee the State and Justice departments.